Sheffield Eagles skipper Matty James is targeting the Summer Bash for a return to action as he looks to put a recurring knee issue firmly behind him. The influential former Featherstone ace has missed several games in recent weeks as he looks to fully recover from a niggling knee problem which has left him with a watching brief as the Eagles’ recent recovery hits the buffers. 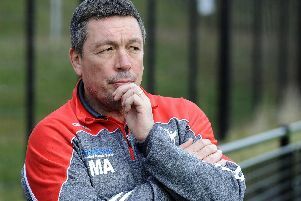 After back-to-back heavy home defeats to Halifax and London, Mark Aston’s side are again looking over their shoulder as they hover above the relegation places. James has been a big loss and whilst he hasn’t completely ruled out a return for this weekend’s return fixture against the Broncos, the Summer Bash showdown with Barrow looks a more realistic prospect. “I have had a reoccurrence of my previous injury,” James said. “I have torn my knees a little, I have a few nasty burns on there so I just have to wait. I sat out last weekend, we are not sure about this weekend but hopefully within the next fortnight I’ll be back. James and fellow injury victims Fozard, Josh Toole, Simon Brown and Corey Makelim were forced to watch helplessly as the Eagles were put to the sword last Sunday. After the game Aston identified a lack of leadership as a primary reason for the defeat, as his young side struggled to cope with their full-time opponents. James admits the Eagles have found the going tough against the division’s heavyweights, stressing they need to find a way to get something against the odds to avoid relying on winning their crunch fixtures at the foot of the Championship standings. “The results and league position speaks for itself,” he added.